It was great to speak to Claire Birkenshaw this week. Claire is a former headteacher and has also done a huge amount for LGBTQ rights. Whilst in post as the headteacher of an alternative provision academy, Claire became (as far as she knows) the fist serving head to go through a transition. Subsequently, Claire decided to change her career to working to promote trans awareness and LGBTQ rights. What were some of the ups and downs of being a headteacher? Claire says that if you haven’t been a headteacher you can’t understand the complexity of the role – everything comes to you. There is also the daily pressure of anticipating the Ofsted phone call and prioritising all the myriad of needs of the children. Amongst the high points, though, were all the times young people demonstrate any kind of achievement. Claire singles out encouraging attendance, wanting to have a conversation with you and reading as some of the highlights of alternative provision work. How do you build community in a challenging environment like alternative provision? All this helps you to build the relationship with the children. How tough is it now for our trans youth? Claire says the picture is varied. It depends on factors like whether a young trans person is accepted by their family and how inclusive their school and local community is. One thing Claire finds disturbing is the people who claim that parents who support their children in exploration of their identity are committing child abuse. There are other countries int he world which are a little more progressive around the basic concept of whether trans people should exist and how young trans people are supported. How can educational establishments support LGBTQ pupils? 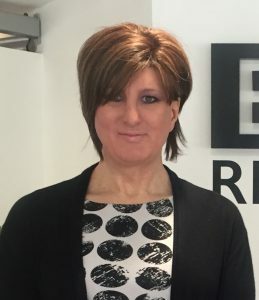 Sexual orientation and gender re-assignment are two of the 9 Protected Characteristics so Claire believes that schools should be reviewing their policies and their CPD every year and identify opportunities to highlight and promote those characteristics. Schools should consider taking part in National Coming Out Day, National Day of Trans Visibility, Trans Day of Remembrance or LGBTQ History Month as well as looking at the school environment. Simple signs like a Pride flag on the headteacher’s door or in a prominent position make a big difference. Claire also discusses the area in much more depth so do listen to the whole episode.